POLICE are investigating reports that crowds of up to 40 youths armed with improvised weapons gathered for prearranged fights in a local estate. North Belfast DUP MLA William Humphrey has called for an end to “sectarian” attacks and intimidation following incidents in the Waterworks area last Tuesday and Wednesday night. Mr Humphrey said that nationalist teenagers, some as young as 13 and variously armed with a broken snooker cue, a crowbar, a piece of copper pipe and a door saddle, entered the loyalist Westland estate last Tuesday. Following a meeting with senior PSNI officers last Friday, Mr Humphrey said: “On Tuesday evening a large group of nationalist youths entered the Westland estate armed with improvised weapons and there was further trouble on Wednesday when nationalist youths came up through the Waterworks towards the Westland estate and only the deployment of PSNI Tactical Support Group officers along with the police helicopter prevented more serious trouble occurring. On Thursday evening youths gathered in the Castleton area, off the Antrim Road, but the PSNI maintained a presence in the area and no trouble resulted. “Whilst the PSNI believe that the trouble this week is probably connected to the school half-term holidays and included attempts to arrange fights through social media, they agree with our assessment that there is a sectarian element to the gathering of these youths and the intimidation they have caused to residents. “This was a useful meeting. 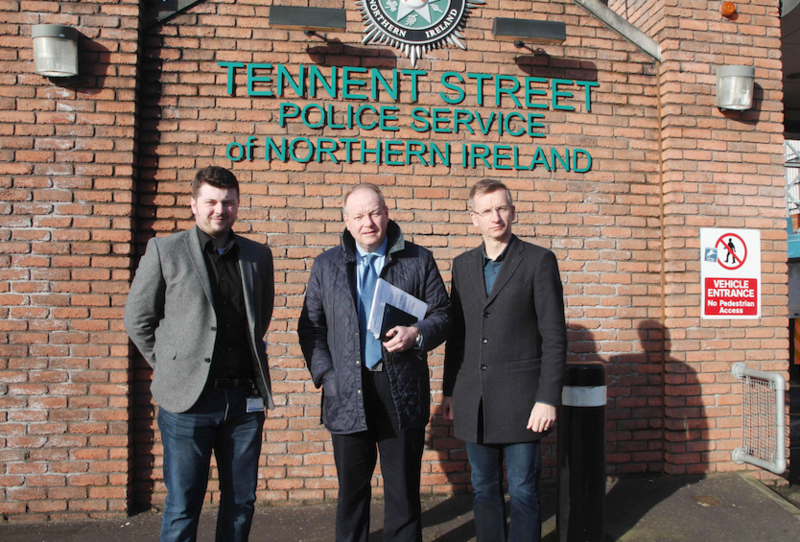 My party colleagues and I appreciate the measures the police have taken this week to prevent the situation from escalating and we urged them to maintain a high profile on the ground over the weekend.